The 2016 Candidates Tournament in Moscow has come to a close. This event determined the challenger for the World Chess Championship against Grandmaster Magnus Carlsen — a match to be held in New York this November. Eight hopeful players, the crème de la crème in the chess world, qualified to participate in this pinnacle of their chess careers by various methods. It was a winner-takes-all event; finishing second was virtually the same as finishing last (besides the thousands of dollars in prizes, minuscule amounts compared to the millions the winner will be playing for against Carlsen). 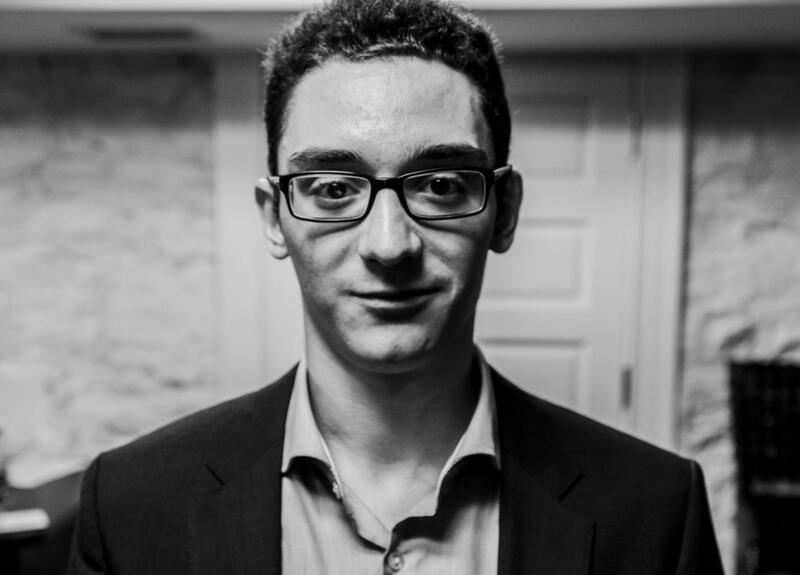 And finally, St. Louis resident Fabiano Caruana, the youngest of the four and the second strongest player in the world according to the live ratings after the first half. The matches were outstanding. Leaders of the field exchanged positions at the top of the scoreboard consistently as they defeated each other. Anand removed Karjakin from the top only to be taken out by Caruana. Karjakin rebounded with a couple of wins against the bottom feeders while Aronian completely lost pace and was quickly eliminated from the top positions. It all boiled down to the very last round -- two leaders vied for the final win of the event. The match featured Sergey Karjakin against Fabiano Caruana. The Russian began with the White pieces and the advantage that he would face Carlsen even if the game resulted in a draw. Caruana went all out with the Black pieces, essaying a riveting variation of the Sicilian, exposing his king to create counter chances. He needed this win. American chess needed this win. The New York World Chess Championship needed this win. It would have been the first time since Bobby Fischer that an American could challenge the World Champion for the undisputed world title. Fabiano Caruana, second in the world and traditionally one of the most dangerous opponents to Carlsen, would have filled the shoes of the rival wonderfully. Unfortunately, it was not to be. In deep time pressure, Caruana made a crucial mistake. A brilliant calculation revealed the flaws in Caruana’s move. A sacrifice of the rook and Black's king is caught exposed. Black had many defensive attempts but unbelievably they all fail. The clock frantically ticked until Caruana realized he lost. He played a couple of panic moves and resigned. The auditorium in Moscow exploded in cheers and applause: Their hometown player has triumphed, and Karjakin will challenge Carlsen later this year for the title of world chess champion. Certainly a setback for the Americans, but Caruana is young — younger than both Karjakin and Carlsen — and it was only his first Candidates Tournament. Karjakin finished second in 2014 and Caruana finished second this time around. The next Candidates Tournament, Caruana may finally claim his title as champion. Caruana will be back in St. Louis in a few weeks playing in his first U.S. Championship beginning April 13 at the Chess Club and Scholastic Center of Saint Louis. It will be the strongest U.S. Championship in the history of U.S. chess. 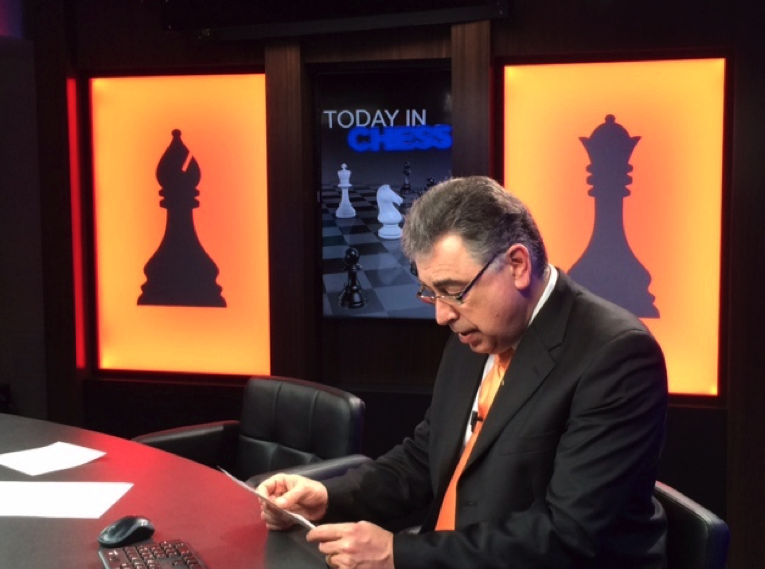 The Chess Club and Scholastic Center of Saint Louis is launching a new online show, Today in Chess. Tony Rich, executive director of the CCSCSL, explained the concept of the new series: “Here in Saint Louis, the chess capital of the United States, we take pride in coming up with innovative ways of raising awareness throughout the chess world. With the Moscow Candidates Tournament in full swing, we felt the time was right to create an entire new type of program that would give thoughtful insights on the most topical events that most chess fans are following.